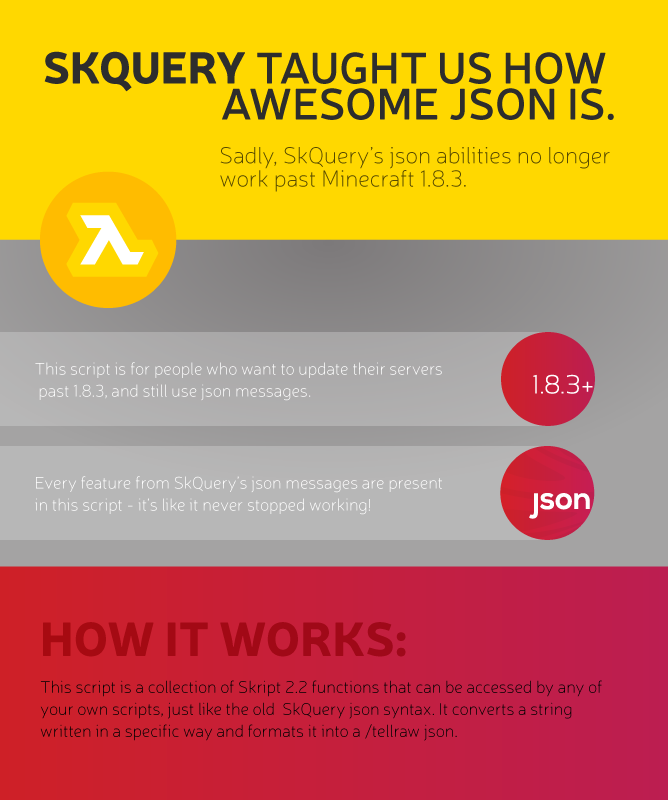 A fix for SkQuery's JSON messages for 1.8.3+ (and 1.9.x - 1.10.x) servers. DerpyTheCoder, loulou55, SoloGamingYT and 11 others like this. I can tell there hasn't been a lot of recent reviews but I still think this skript addon is so good! I have been using it for one of my skripts for awhile now and it just makes it perfect! 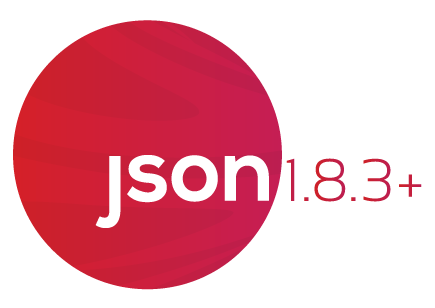 Addon is great and very fast. Not too hard. I have a question, are there any way you can "execute" a function instead of a command? If not can you make it in a future update..
Its look good! But how I can use it for url link? Can I have an exp for it many thanks!! *insert heart emoji here* I LOVE this skript, it has been a huge help. 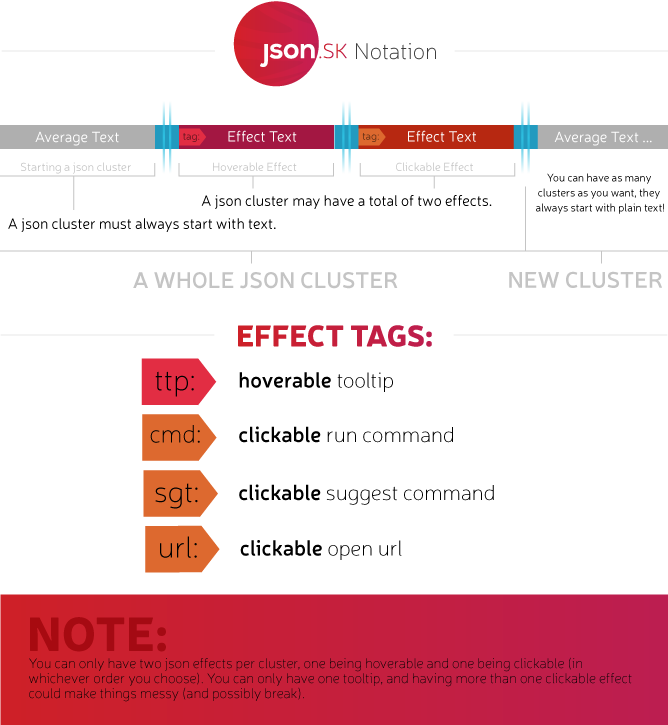 I have never understood json formatting, and this has brought a whole new level into my Skripts. Thank you so much for this! DiscordSRV addon that connects in-game staff chat to a discord channel. Password protected /op and more! Protects your server from op exploits & malicious plugins. An all-in-one sign editing plugin for copying, pasting, and modifying signs.